I went to a small independent school nestled in the heart of Surrey. It was, as small independent schools go, fairly normal but for one thing: it is the only school in the UK run by Christian Scientists. Most of the time it was all quite innocuous, of course. The teachers and pupils were all pleasant and fairly normal. The most explicit references to faith tended to be fairly untoward affairs, like assemblies that propounded virtue and annual trips to the local Christian Science church. That made the times its influence was obvious all the more memorable. First, there were the guidelines for Charity Week, in which students could pick three charities to support. Any charity was eligible at all, any at all, except those that funded medical research. Second was its effect when, like humpty dumpty, I had a great fall. Emerging rather bloodied from it, I was rushed to first aid, where I got all of a clean cloth, water, and a copy of the Christian Science Monitor. 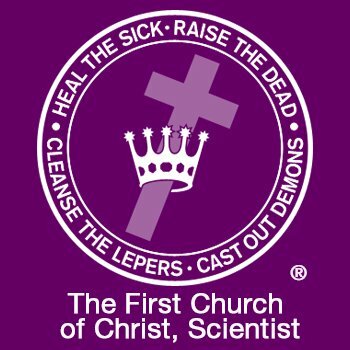 This is because Christian Science is a sect founded by Mary Baker Eddy which believes a number of interesting things, the most relevant of which is their own form of Manicheanism, in which the spiritual world is the truly real one and our ailments in the physical one are all indicative of spiritual ills. As such, curing our ailments requires only that we resolve our spiritual issues, all else being a distraction. They are very serious about this: their first church, located in Boston, maintains a list of every case their form of faith healing has worked, although it’s rather short on cases where it failed. It was all rare enough, and Christian Science is small enough, to be unthreatening and even occasionally quaint, but their aversion to medicine is troubling. Luckily, very few pupils took it seriously.